Like the appearance of sunshine on a cold day, Indo-Pak matches are a welcoming sight for the entire cricketing fraternity. Despite the fixture becoming a rarity in international cricket over the past decade, the ongoing Asia Cup, in all probability, will provide the fans with the opportunity of witnessing this high-octane clash on more than one occasion over the next few days. The first one is scheduled to take place on September 19 at Dubai International Stadium which is also alternatively known as the ‘Ring of Fire’. The unpredictable nature and drama that surrounds the game is such that it is almost always devoid of any sense of inevitability throughout the match. Ahead of this high-profile encounter, couple of cricket journalists, one from Pakistan and other from across the border, shared their views on the match while talking to The Express Tribune. This will be the 12th India vs Pakistan match in the Asia Cup, the head to head record thus far is even-steven. It has always been about India’s batting against Pakistan’s bowling. This time, team India are without skipper Virat Kohli and it does make a difference — at least psychologically — on both sides. But Rohit Sharma has time and again proved how destructive he can be in limited-overs cricket. The pitches in the UAE are drier and conditions are hot thus it will be interesting to see how Pakistani pacers bowl. They have just one spinner in Shadab who will definitely trouble the Indians but the Men in Blue have their own spin-twin in the shape of Kuldeep Yadav and Yuzvendara Chahal — who will look to dictate terms in the middle overs. Bhuvneshwar Kumar and Jasprit Bumrah are without a doubt the best seam bowling pair in white-ball cricket at the moment which is why Pakistan batsmen need to be wary of the threat. Over the years, India’s bowling has evolved and if they are able to break through the top order early, it will not be easy for Pakistan to get big runs. In Imamul Haq and Fakhar Zaman, Pakistan have two really potent openers which is followed by a solid middle-order in the shape of Babar Azam , Shoaib Malik and captain Sarfraz Ahmed. They should definitely look to exploit India’s 5th bowler since Hardik Pandya tends to give away runs and Kedar Jadhav is coming back from an injury. I am not convinced that Pakistan covers all the bases with their batting line-up. That said, India has a much stronger middle-order with substantial experience. Both the teams need their top order to fire and their pacers to get breakthroughs. Though it is about who plays better on the day, Pakistan will know they can beat India while their opponents would not want to repeat the mistakes from the Champions Trophy 2017 final. The mother of all rivalries; the rare clash we so thirstily crave for. Pakistan against India in our technical homeland and unlike previous years, the victory at the Champions Trophy has sparked a sense of belief in fans this side of the border. The team looks young, fit and charged and I personally think Pakistan have a real chance at the cup. It will be interesting to see how young Imam will fare against a formidable Indian bowling attack but really with such little experience in the side, expectations fall heavily on in-form Zaman, Azam and veteran Malik (whose record is impeccable against India). It would be a mistake to not include Junaid Khan in the side given his brilliant record against the Men in Blue and probably Faheem Ashraf could be dropped in his place. If Pakistan bat first and post a total of over 300 on the board, it will significantly improve their chances of success. However, if Pakistan decide to chase — which remains highly unlikely — it’s going to be tough ask. It’s not just a matter of taking early wickets and keeping the pressure on because the Indian batting line up runs very deep and is more than capable of posting a huge total on the board. 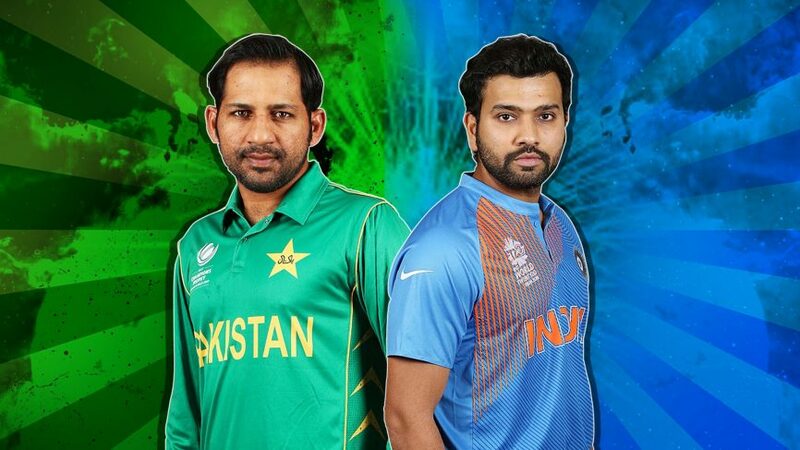 With multiple Pakistan, India clashes predicted at the Asia Cup, Wednesday’s match may just be the game that gives the winner psychological edge in the rest of the tournament.